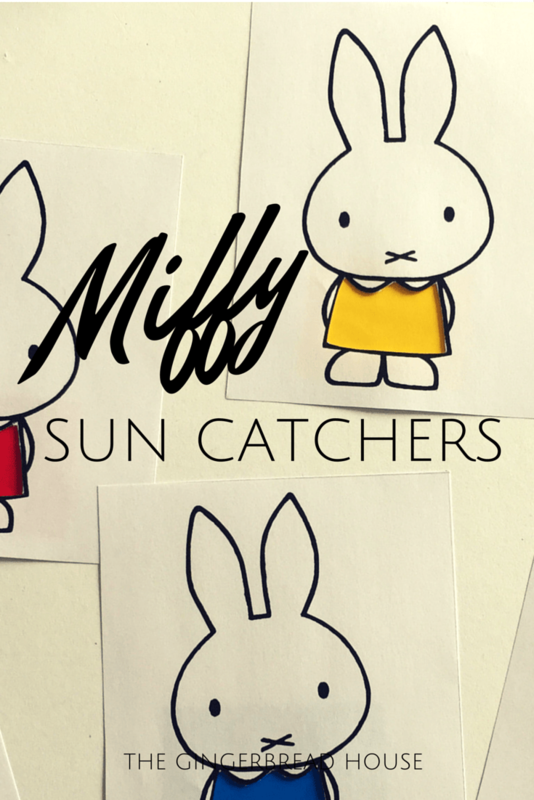 You know we’re huge fans of Miffy and we love to make sun catchers so today we’re sharing our really easy Miffy sun catcher craft. Everyone knows that Miffy loves to wear a pretty dress, like the ones in Miffy’s birthday book. 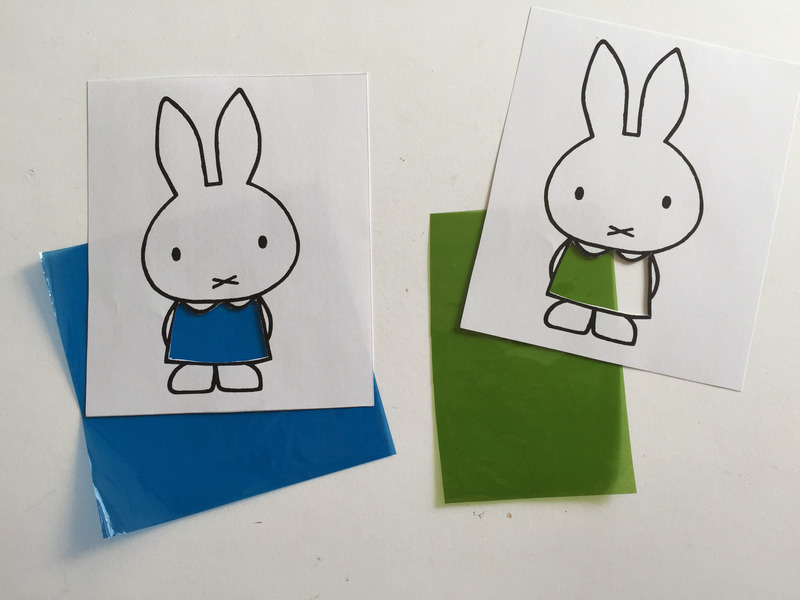 Reading it totally inspired us to make Miffy a new colourful wardrobe. 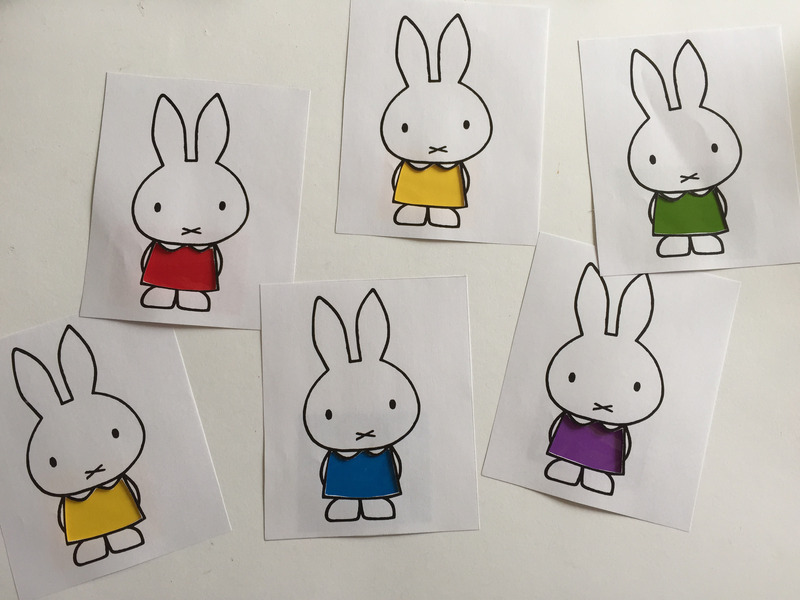 I printed 6 pictures of Miffy and carefully cut out her dress. We chose as many pieces of different coloured cellophane we could find and cut squares large enough to cover the space left by her cut out dress. 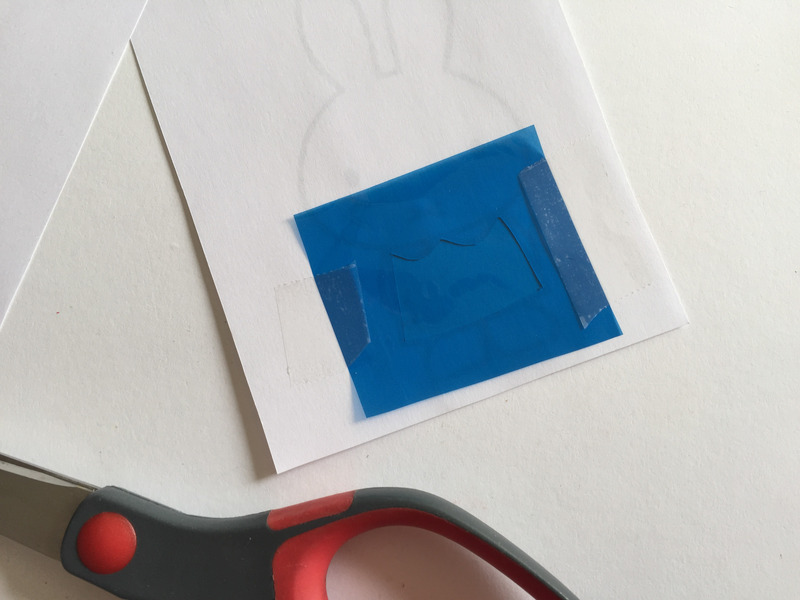 We turned our Miffy pictures over and secured the cellophane in place with small pieces of sticky tape. 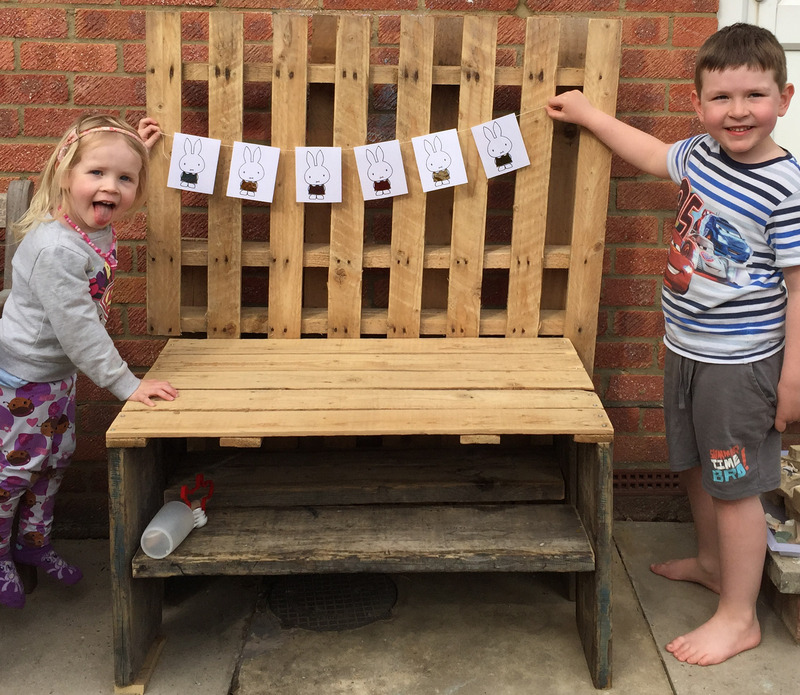 Then we turned them over again to admire our work. These would look great in any window which catches the sun but we thought we’d make ours into a garland. I cut small pieces of bakers twine which we attached to each sheet of paper with more sticky tape. The children wanted to hang our garland in the garden but I eventually persuaded them to let me hang it indoors. Oh these are so cute, who doesn’t like Miffy? !